You don’t need to travel far to have a fun vacation. These four destinations known for their watery attractions are just a day trip away. Water is a main ingredient for summer fun, and waterfronts are ideal destinations for day trips and extended family vacations alike. Lucky for us, we’re just a short drive from four lake communities that stand out for their water attractions and all-around appeal. Visitors are attracted to Wisconsin’s state capital for a number of compelling reasons, but among the top is the area’s five interconnected lakes. Madison has built upon the lakes’ natural appeal by providing ample access along its shorelines and developing many ways to enjoy the water, says Judy Frankel, director of public relations and communication for the Greater Madison Convention & Visitors Bureau. Hotels such as The Edgewater host visitors in the middle of the action. Another thrilling sport is kite boarding, in which users are propelled into the air on pillars of water. It’s a high-risk, high-excitement sport that’s as fun to watch as it is to do. 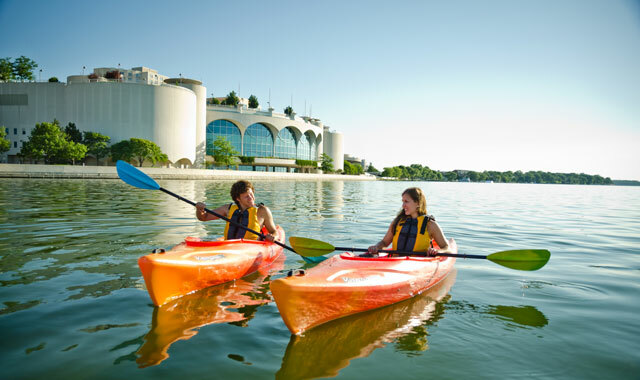 Madison is a family-friendly vacation destination, with activities that range from fishing in the sparkling lakes to visiting the city’s 105-year-old Henry Vilas Zoo. One of Madison’s most significant landmarks is its capitol building, which celebrates its 100th anniversary next year. With its impressive marble details and elegant architecture, the capitol is highly visible from all directions, even from Interstate 90, because of ordinances that prohibit buildings blocking the view. Inevitably, a trip to Madison always circles back to the water. Boat rentals are readily available. Those who enjoy a leisurely cruise find that Betty Lou Tours has plenty to offer. Visitors preparing for a trip should check VisitMadison.com to find resources like sample itineraries based on activities such as biking, hiking, fishing and visiting the city’s many attractions. Wisconsin’s Door County peninsula has long attracted those who enjoy spending time in a restorative natural setting. It’s surrounded on three sides by Lake Michigan and Green Bay. Visitors enjoy the county’s 11 lighthouses, three of which are open daily for tours from mid-May through October. Food is a big draw in Door County, and the fishing industry has helped to spur the signature fish boils popular at area restaurants, hotels and bed-and-breakfasts. Relatively new to Washington Island is the cultivation of lavender, which has inspired a new summer festival. What more could a vacationer want? Jarosh doesn’t hesitate to add to the possibilities. Every mile of Door County is easily accessible, regardless of where visitors find accommodations, so no one is likely to miss an opportunity. 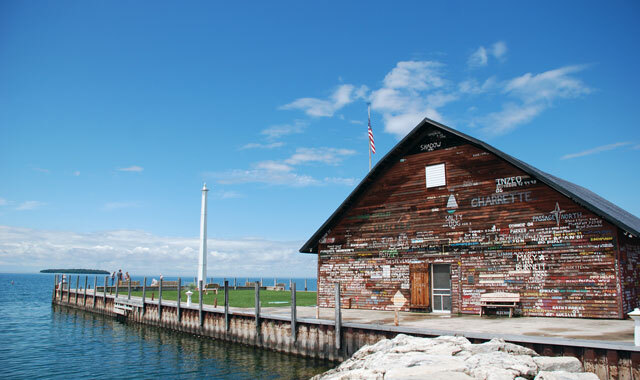 For well over a century, Lake Geneva has been a magnet for visitors and summer residents who appreciate both the natural beauty and the artistic sophistication this thriving community offers. 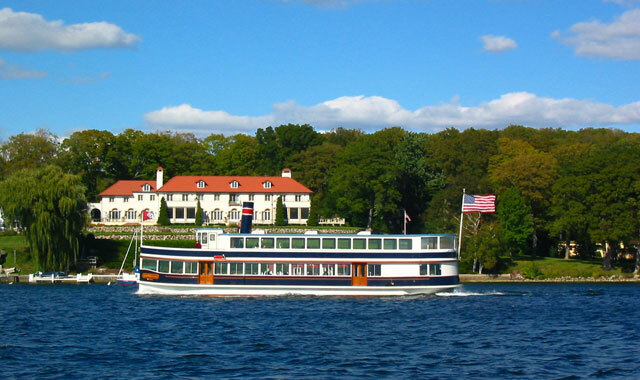 Darien Schaefer, president and CEO of the Lake Geneva Chamber of Commerce and Visitors Bureau, says the fascinating string of homes built by Chicago’s wealthiest families remains a powerful draw to boat tours available through Gage Marine. The 2.5-hour tour also acquaints riders with the history of the homes surrounding the lake, including those that were built to accommodate families after the Great Chicago Fire of 1871. Water is still the main attraction in the Lake Geneva region, which offers familiar traditions as well as new attractions. For the more energetic vacationer, Schaefer believes a hike around Geneva Lake on its lakeshore walking path is well worth the effort. In addition to the lake boat tours, visitors can shop Lake Geneva’s downtown district, which offers a diversity of retail shops, eateries and fun attractions. Nearby is the Bottle Shop, where guests can purchase wines, many of them produced locally, and then open and share them with friends on the patio. Tristan Crist Magic Theater also rates high with visitors. The magician formerly performed for the Circus World Museum in Baraboo, Wis., Schaefer says. The Lake Geneva area is an ideal place to spend a day or a vacation. Learn more at visitlakegeneva.com. 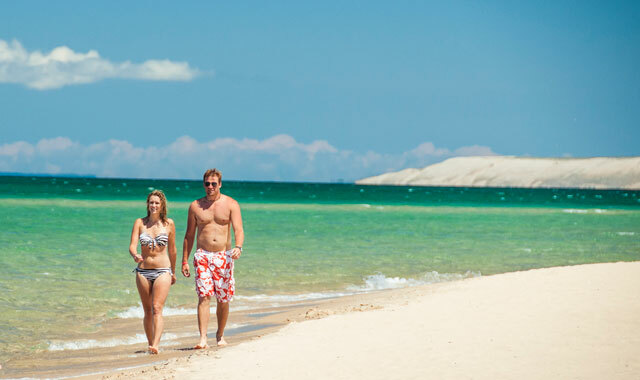 The first thing that attracts visitors to Traverse City is its natural beauty. Located on Lake Michigan’s east shoreline, this small community offers not only a wide swath of sandy beach and enticing water but also woods and open spaces to explore. The area’s culinary reputation is growing. Traverse City was quick to embrace the farm-to-table concept in dining, he adds. Shopping is another draw. Since the 1960s, the Traverse City area has been a must-see for the artsy crowd. But the region’s strongest draw is the Great Outdoors, in all its beauty. One spectacular example is the Sleeping Bear Dunes National Lakeshore, located just west of the city. Accommodations run the gamut, from cozy bed-and-breakfasts to the full-service Grand Traverse Resort. “It’s a place that appeals to everyone,” Norton says. Learn more at traversecity.com. This entry was posted on Thursday, September 8th, 2016 at 12:00 pm	and is filed under Recreation & Destinations, Top Posts. You can follow any responses to this entry through the RSS 2.0 feed. Both comments and pings are currently closed.